Data Aquisition, John Wilcox Competition Engines. 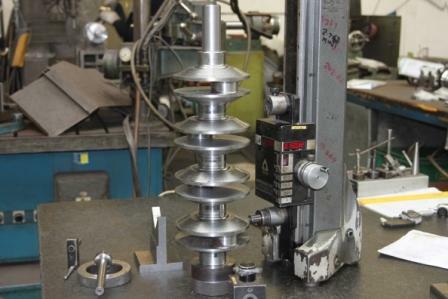 Competition crankshafts need to cope with a number of challenges including different types of stresses, torsional loads and vibrations constantly being applied to them. 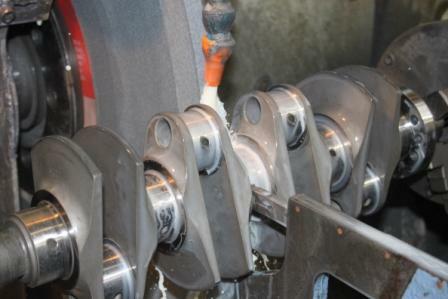 Design, manufacturing process and material choice are critical, ensuring the highest quality of crankshaft is produced for the chosen application. 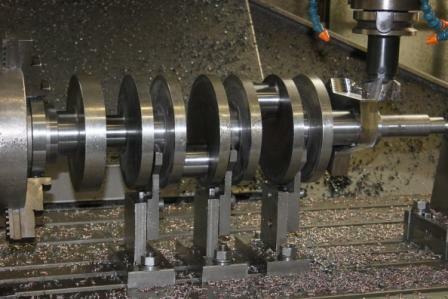 Our billet crankshafts are fully machined from a round bar of EN40B high grade steel. 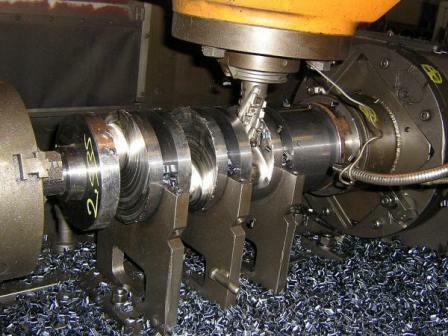 This process involves demanding machining operations but allows for more flexibility and accuracy in design. 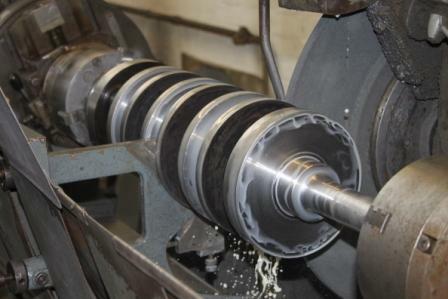 Many performance crankshafts are formed by the forging process where a billet is heated to 1950 - 2250 F then pressed, or pounded between a pair of dies under pressure. The forging process gives good grain flow of the metal however nowadays the billet process is more commonly used. 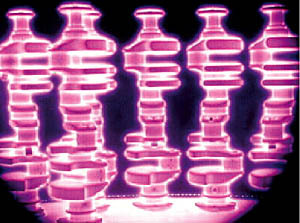 The process of nitriding a steel crank takes place in a sealed furnace in an atmosphere of dissociated Ammonia where the temperature is controlled between 500 – 550 deg C. Nitrogen diffuses into the entire surface of the crank where it reacts with elements such as chromium, aluminium and vanadium in the material to form metal nitrides. 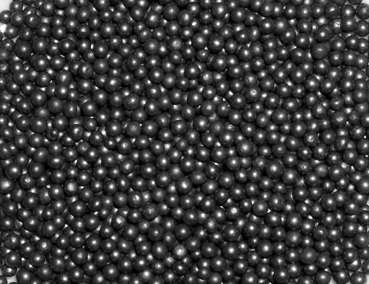 Typically after 90 hours of treatment on EN40B steel the nitriding depth will be in the region of 0.020”. The practical limits on the nitriding depth are about 0.035” thou however this level of penetration takes a longer time to achieve. 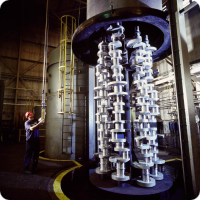 Nitriding is a diffusion treatment process that has been used since the 1920’s and like all diffusion treatments it obeys Ficks law which determines the rate at which a given substance will diffuse through a certain solid. The concentration of the gas must be higher in substance surrounding the part to be treated than which already exists in the part itself. The rate of diffusion depends on a number of factors including the concentration of the diffusing element over distance, temperature, pressure and time of exposure in that environment. By increasing the process time the depth diffusion will increase. The nitriding process is generally carried out on already hardened and tempered material resulting in a hard wear resistant case, good fatigue performance and enhanced corrosion resistance. Mass production techniques and tolerances prevent the average production engine from reaching its full potential. The accurate and precise balancing of all the moving components can turn an average engine into a smoothly operating, reliable power unit where all the internal components are working in harmony with one another. Failure to properly balance the moving components can lead to vibrations and the engine will subsequently lose performance, becoming harsher to drive, and have a shortened lifespan. 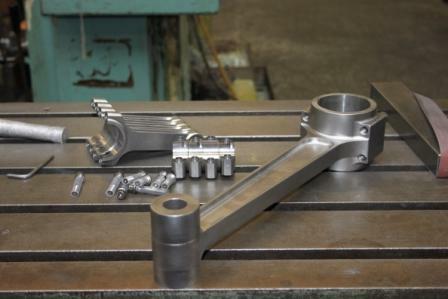 Cranks are fully machined to a lightweight design, cross drilled, using EN40B steel, stress relived, nitrided, hand finished, inspected and 100% crack tested before dispatch. Over the years we have supplied cranks for various types of engines including World rally, Touring cars, classic and historic. 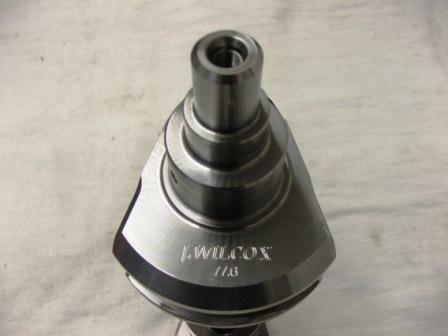 A conrod in a race engine is subject to rapidly changing loads at extremely high speeds therefore material choice, strength and design are critical to achieve good performance and reliability. Conrods used in most road cars have the bare minimum of machining to keep costs down, unlike our high strength low weight rods which are fully machined to give an improved surface finish. The CNC machining process allows for a lighter design of rod, better quality of finish and higher accuracy over the forging process. The split design high strength EN24V grade steel rods are shot peened to improve their crack resistance and come complete with small end bush and ARP big end bolts. All our connecting rods are subject to 100% crack detection before dispatch. We carry stock of varies sizes of conrods and can make one off's to order for most engine types. 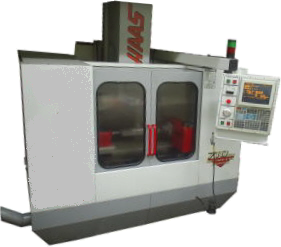 Shot peening is effectively an impact cold working process where small spherical media called shot, bombard the surface of the component to alter the structure. The selected media can be derived from a number of different materials such as hard ceramics like silicon nitride, through to glass or steel. 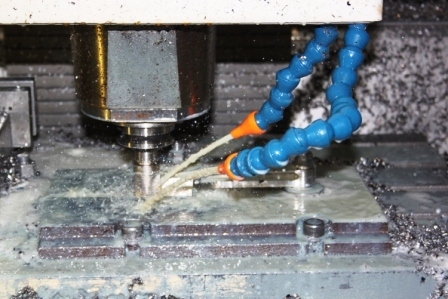 During this process, each individual piece of shot that strikes the component at high impact acts like a tiny peening hammer, imparting to the surface a small indentation. 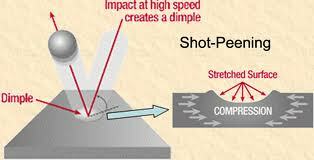 When this indentation or dimple is created the material surface must yield in tension therefore the area below the dimple tries to restore its original shape. 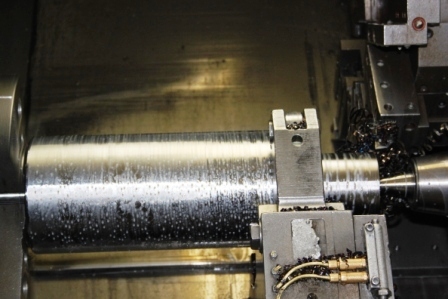 The end result is a highly stressed compression of the material immediately below the targeted area thus creating a uniform layer which provides considerable increases in component life, nearly all fatigue and stress failures originate in the surface layers of a component. This is normally due to the tensile stresses which attempt to pull or stretch the surface apart which can eventually lead to cracks forming. 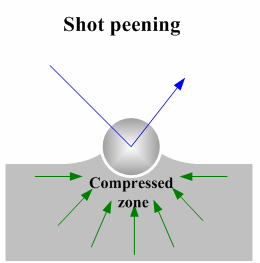 The depth of the compressive layer which has been created through this controlled shot process significantly increases the crack resistance. Unquestionably the most important fasteners in any engine are the connecting rod bolts, as they hold the key to the entire rotating assembly. A broken bolt will lead to a catastrophic engine failure. The most critical joint is where the connection rod halves mate together. The rod bolts must support the primary tension loads caused by each rotation of the crank. When the crank rotates, the big end of the connecting rod essentially becomes oval shaped and the rod bolts bend. As the crankshaft continues to rotate, the rod becomes round again. With alternating tension loads and cyclic bending of the bolts, it is very important to install fasteners that are able to exert a clamping force greater than the load imposed upon the joint.